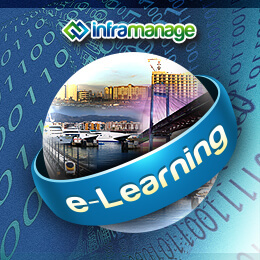 Inframanage presents the “Ask the Experts April 2014 Webinar eBook”, a helpful resource for your asset management practice. A total of 23 topics were created and published on the Inframanage Blog from out of the April 2014 webinar transcript. For your reference and easy reading, we have compiled these topics into an eBook. This infrastructure asset management eBook is now available FOR FREE. You may download a copy of the eBook by creating a free account with us.